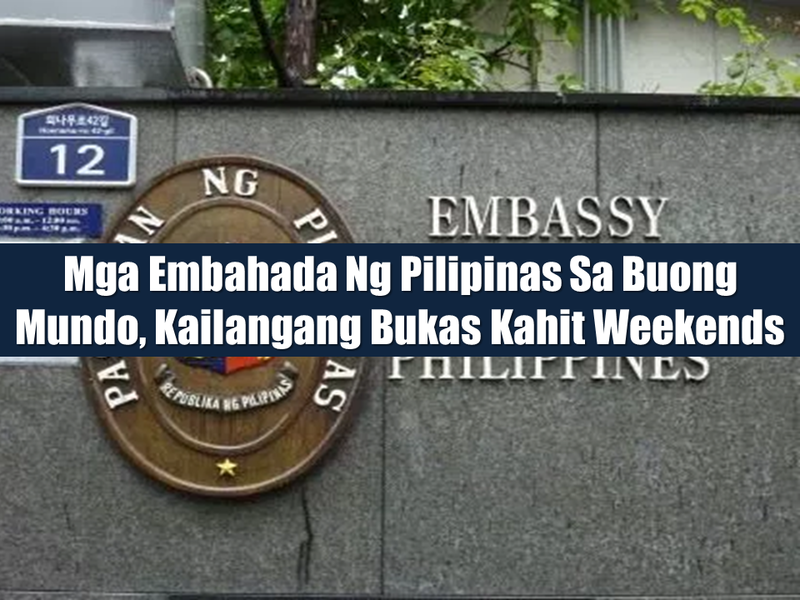 Philippine Embassies in different parts of the world are usually closed during weekends. 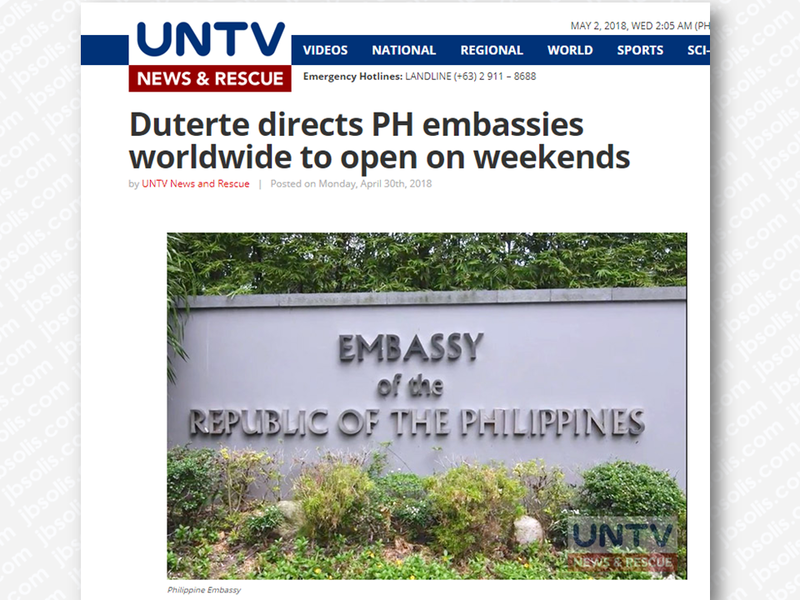 As a part of service to the Filipino people especially the overseas Filipino workers (OFW)) and immigrants, President Rodrigo Roa Duterte directed all the embassies of the Philippines to extend their operations even on weekends. President Rodrigo Duterte has directed all Philippine embassies worldwide to open on weekends to further assist Filipino workers and residents. The President’s, during his meeting with the Filipino Community in Singapore, Foreign Affairs Secretary Alan Peter Cayetano said the President has ordered DFA to check on the operating hours of Philippine Embassies to know if such system will be applicable. The directive aims to extend consular services to more Filipino workers overseas who usually take their days off on weekends. Government data shows that there are 10 million overseas Filipino workers deployed in 170 countries in the world. A large chunk of whom reside or work in the Middle East.